‘Luke Cage’ star Mike Colter says that – contrary to the stereotypes about South Carolina – his upbringing in the Southern state was exceptional, filled with supportive teachers who encouraged him to follow his dreams. Larry King: What was it like growing up in South Carolina? 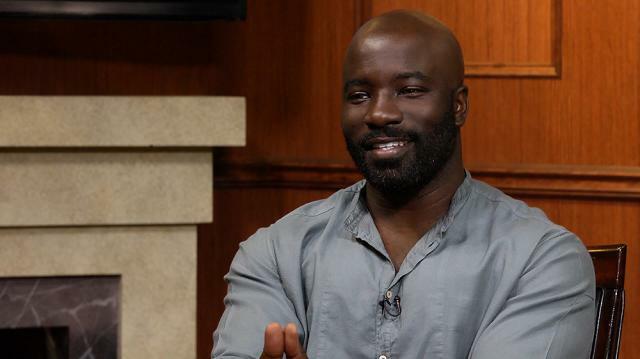 Mike Colter: South Carolina, it was for me a very interesting experience. Uh,South Carolina… I’ll be honest, I had a great experience there. I got lucky. I don’t know; I think my experience was different than most people. Larry King: You didn’t experience any racism? Mike Colter: It was there, in places. Larry King: What city were you in? Larry King: White and black? Mike Colter: White and black, mostly white. I mean, a lot of my teachers were white. Larry King: They didn't tell you you had to be a pullman conductor?. Mike Colter: No! No, they didn’t! And that’s probably what… that probably goes on a lot and I just got really lucky. So I am very aware of what South Carolina represents to a lot of people, but my journey was a little different.